You are here: Home / Grace on Parade / Personal Safety: What’s A Christian To Do? Yes. But that doesn’t mean we do nothing. God did not always tell his people to be passive when an enemy threatened them. Avoidance: He ordered the Israelites to take a circuitous route to avoid the Amalekites because the Israelites were not ready to fight. Passivity: God instructed His people to move on through the Red Sea while He came behind them and overcame the Egyptians. Show of Power: Can you imagine how someone living behind the walls of Jericho might have felt as the Israelite army did nothing more than march around the perimeter? Inadequate resources: God insisted Gideon’s army use limited or unconventional warfare. Combative engagement: David initiated the fight with Goliath but made it clear the source of his strength was from God. 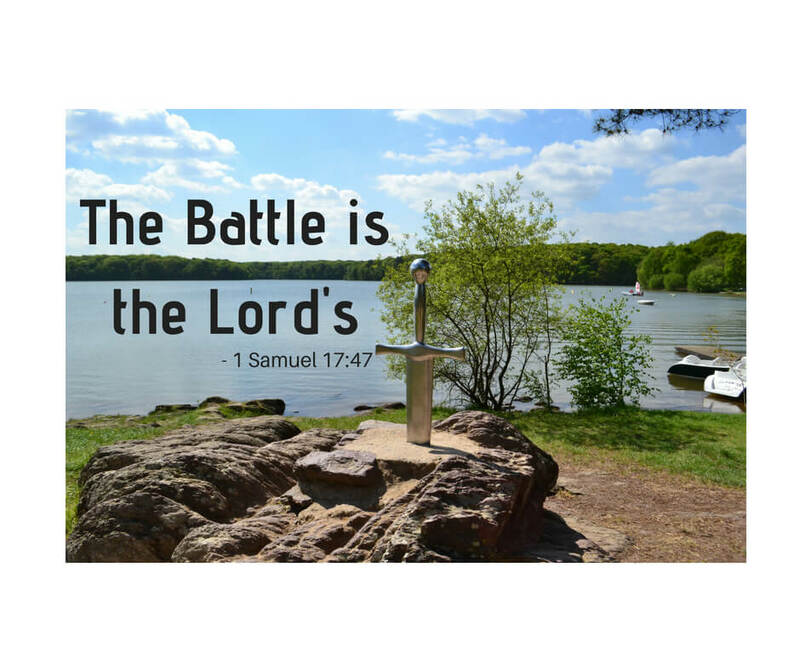 In each of these situations, the people fully recognized one central truth: the battle was the Lord’s. Here’s the assurance we need as we face our own battles. But doesn’t the Bible say we shouldn’t trust in the tools of men but in God? We use the tools, whatever they may be, to protect ourselves and the weak among us. We can engage and distract the enemy. But we don’t put our trust solely in our own ability or in the tool we use. Salvation ultimately comes from God. He is the one we trust to save us when our personal safety is threatened. Use what resources, skills, and wisdom you have, then leave the results to God. The most important aspect of ensuring our personal safety is this: Don’t be afraid! Your God can and will protect you. Even if the worst thing happens – you are involved in an active shooter situation and live to tell about it – God can bring you through. He will protect you, He will keep you from being ensnared. He will heal the emotional damage brought about by the trauma. As we step forward to deescalate the situation, we can trust In God’s superior strength that is greater than any assailant. No need to stay home from church, shopping, or school. He who is in you is greater than He who is in the world. Your personal safety is in His very capable, powerful, and loving hands. So be a David. Don’t let the enemy ruin the reputation of God your Deliverer by your show of fear. Use what resources, skills, and wisdom you have, then leave the results to God.